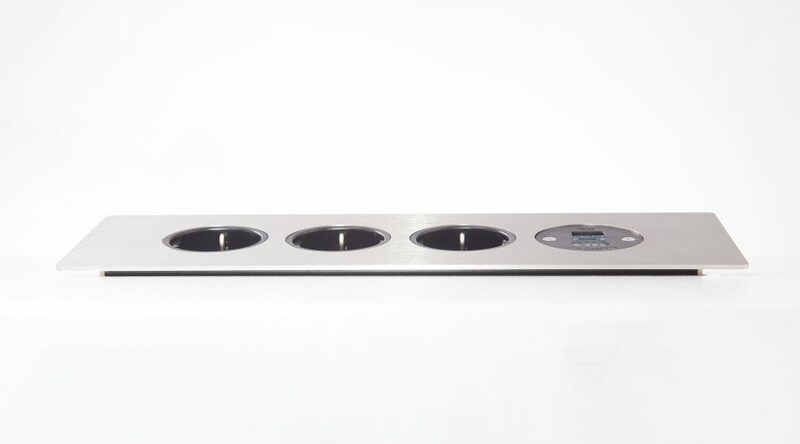 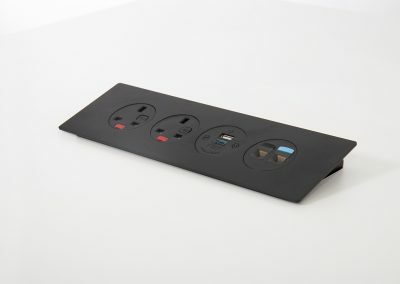 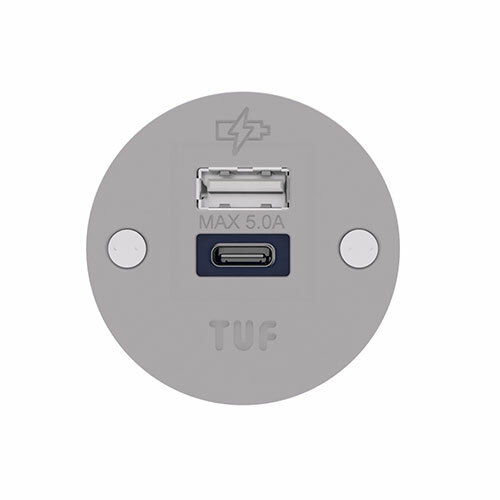 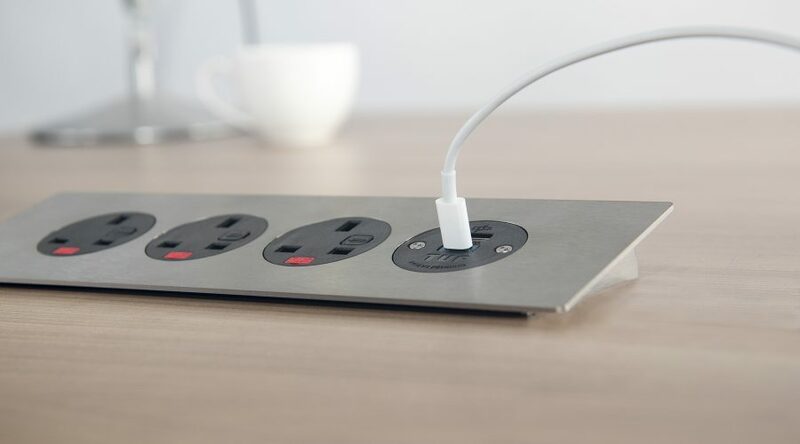 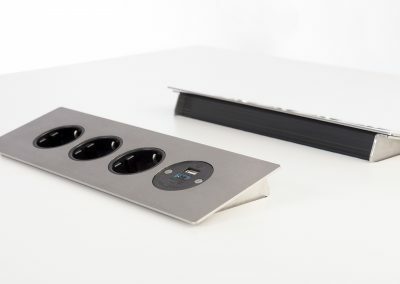 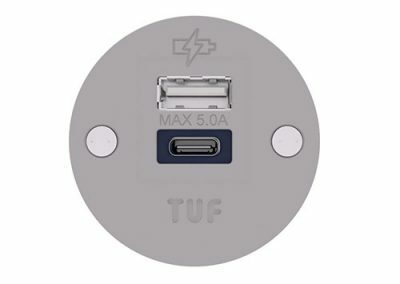 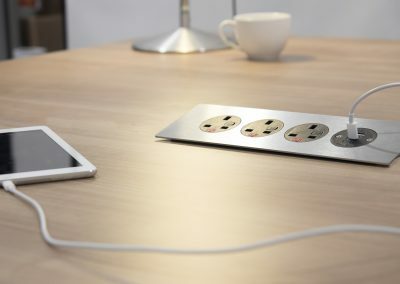 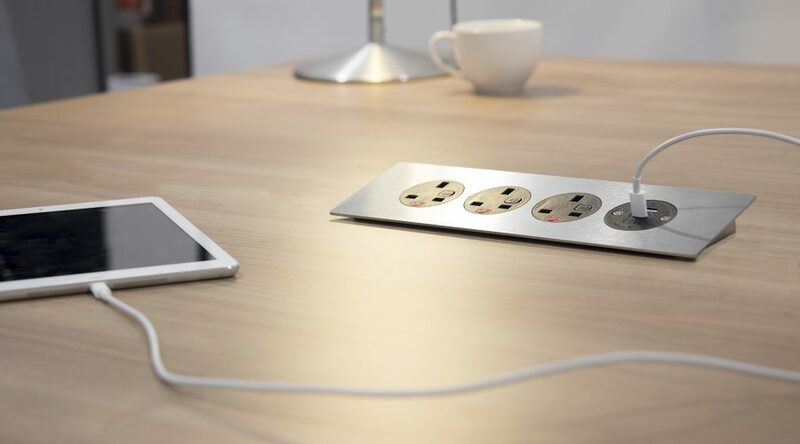 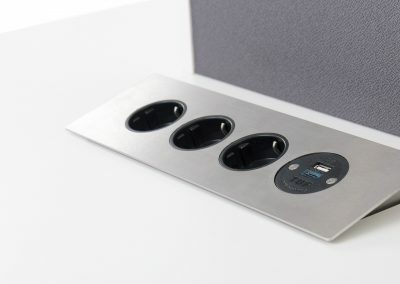 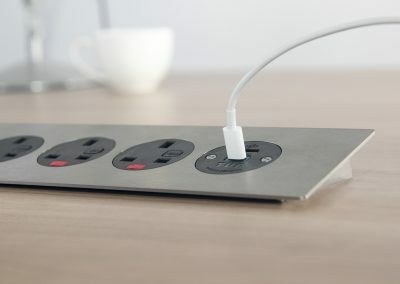 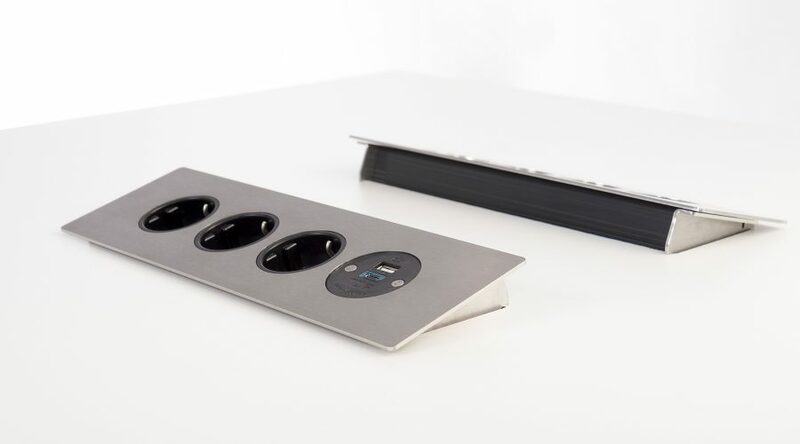 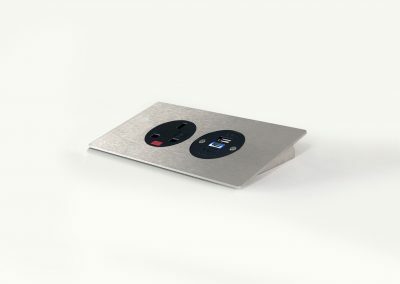 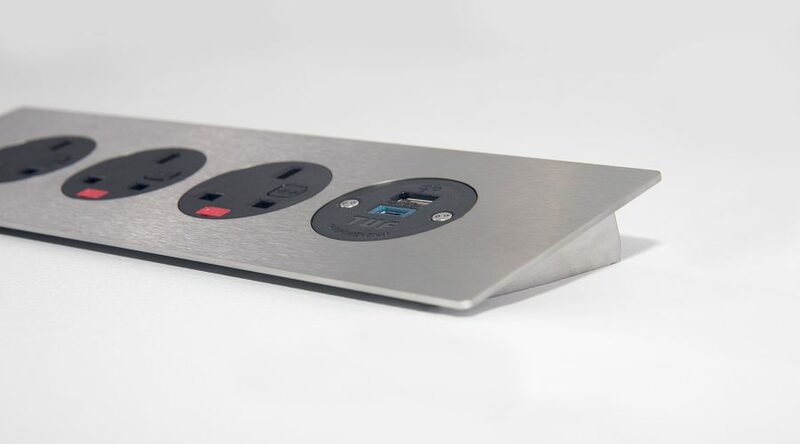 The 2 or 4 PODIUM socket apertures may be configured with any combination of the following AC power options from the OE 42mm modular range, our class-leading OE TUFA+C25W Twin USB Fast charger and most types/makes of Data/AV. 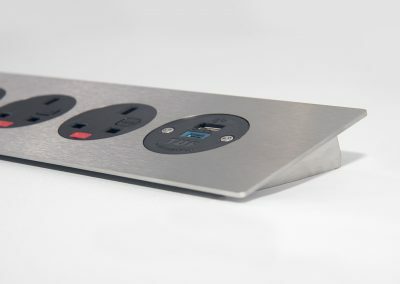 PODIUM may be hardwired to: – mains AC plug, – male Wieland GST18 connector for “soft wiring” e.g. 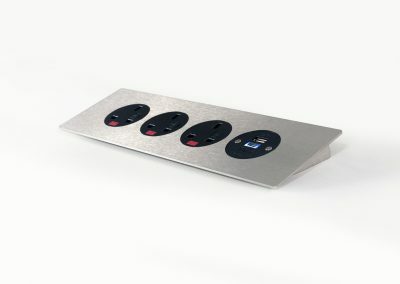 connection to under-desk power modules or direct to a floor socket via a starter cable. 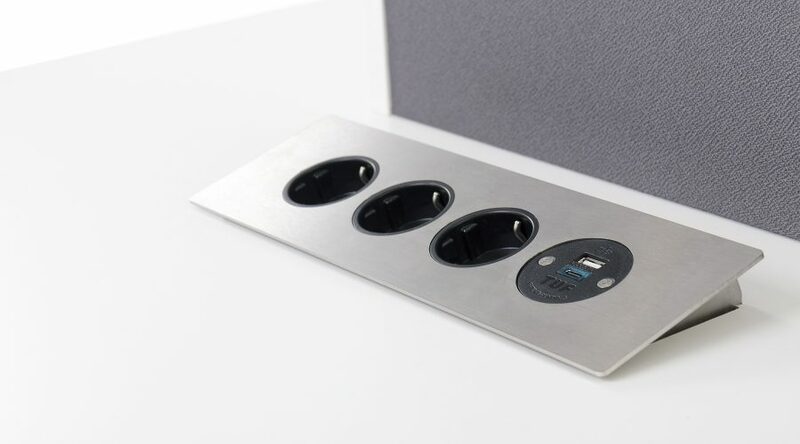 Alternatively, PODIUM may be fitted with an OE ‘J’ coupler. 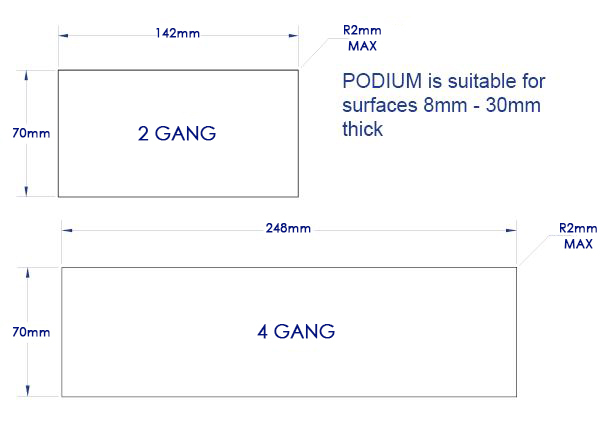 PODIUM 2 gang is designed to fit into a 142mm x 70mm cutout, while PODIUM 4 gang is designed to fit into a 248mm x 70mm cutout, both in table tops 8mm-30mm thick. 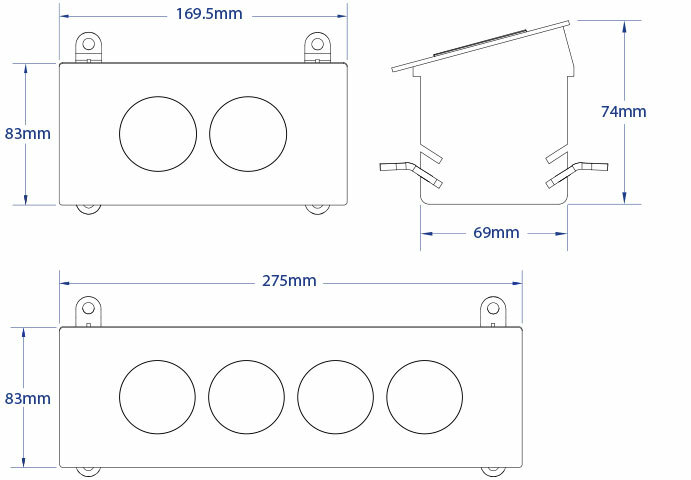 All PODIUM units are manufactured using ISO9001 quality controlled components and practices and are 100% tested before dispatch. 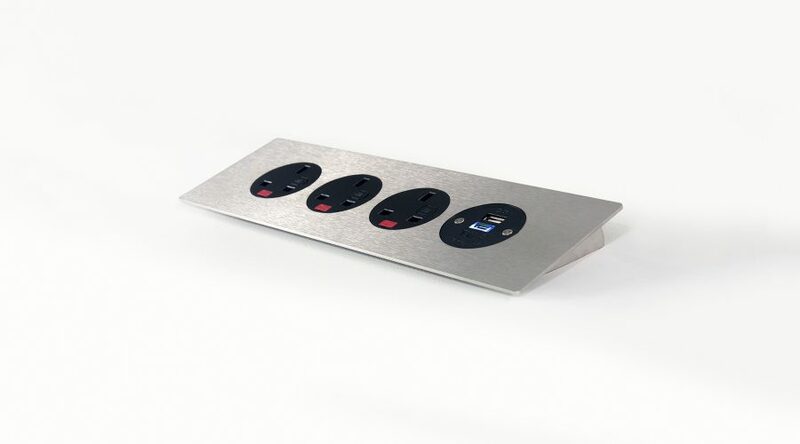 PODIUM 2 gang is designed to fit into a 142mm x 70mm cut-out, while PODIUM 4 gang fits a 248mm x 70mm cut-out (Maximum 2mm corner radius). 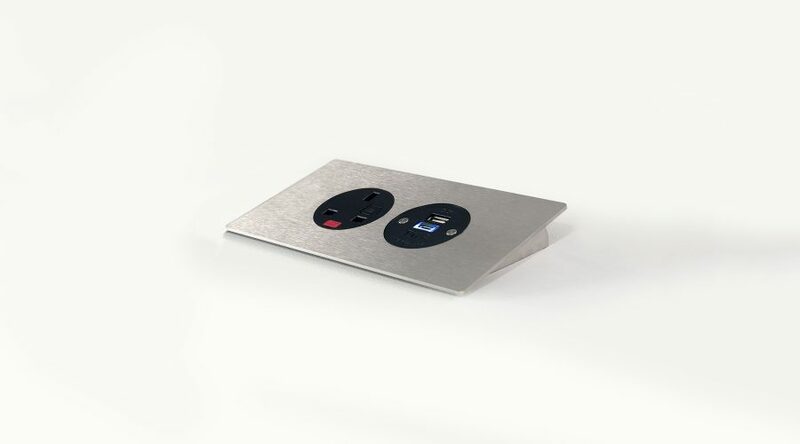 PODIUM is suitable for surfaces 8-30mm thick.